I’m making a brief detour back to WW I. 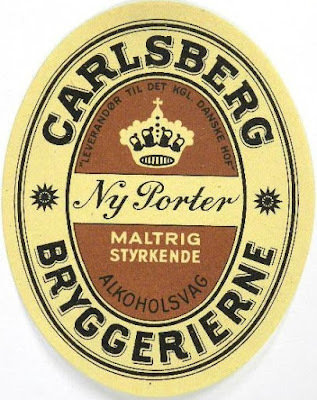 Just because I happened upon a fascinating article mentioning the effect of WW I on Danish brewing. Which you might find surprising, seeing as Denmark was neutral. But the activities of British and German naval forces severely affected world shipping, for both participants and non-participants alike. April 3rd. 1917.—Restriction of brewing material to not more than 80 per cent, of the normal consumption. Nov. 9th, 1917.—Prohibition of the use of Danish barley for malting. Journal of the Institute of Brewing, Volume 27, Issue 1, January 1921, page 26. That date of April 1917 for the first restrictions isn’t random. And is exactly when the first drastic cuts in beer production started in the UK. Because it’s just when the German unrestricted U-boat campaign started to bite. It’s difficult to make a direct comparison, because of the different systems used, but Danish tax was higher before the start of the war, but lower by the end of it, than in the UK. Journal of the Institute of Brewing, Volume 27, Issue 1, January 1921, pages 26 - 27. Price increases were even more extreme in the UK. A pint of Mild in the low 1050’s cost 2d in 1914. In 1920 a beer of tat strength had a controlled price of 8d per pint*. “The brewing of the stronger "Lager beer" was stopped in Feb., 1918, and export trade brought to a complete standstill, and despite the renewed freedom of the seas, freights still prevent more than a partial resumption. Average Original Gravities of Beers. Journal of the Institute of Brewing, Volume 27, Issue 1, January 1921, page 27. I can believe that almost exclusively Pilsner was brewed. There’s page after page of just Pilsner in the 1928 Carlsberg brewing records. * The Brewers' Almanack 1928 pages 100 - 101. ** Calrsberg brewing record held at the brewery in Copenhagen, document number Serie 000013560 000056839. Interesting stuff. If you ever come across it, it would be interesting to see the parallels with other neutral countries, such as Switzerland or Sweden. Or for that matter, have you ever looked at the effect of WW II on Irish brewing?